Detail from a wall painting at Kelaniya Temple complex. 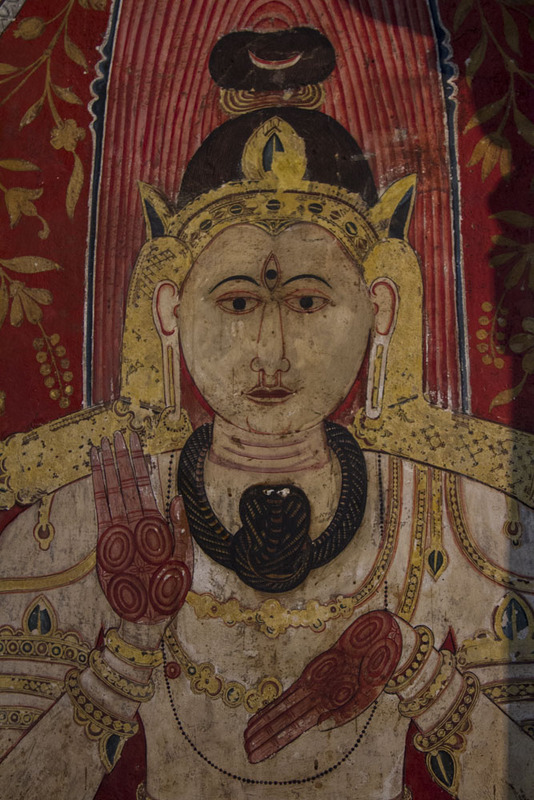 Correction: Detail of a wall painting in the image house at Kelaniya, a major Buddhist temple in Colombo, Sri Lanka. Kelaniya is one of the sites visited by Buddha on one of his three trips to Sri Lanka. I initially identified this painting as one from the Dambulla Buddhist cave temple complex, also known as the Golden Temple of Dambulla, is a series of five cave temples decorated with statues and wall paintings. Dambulla Caves is impressive, isn’t it? It was mind-blowing when I saw it. This is really cool. Thank you so much for sharing.